Polynesian Exploration, a leading developer of inertial navigation solutions, has partnered with Unmanned Systems Technology (“UST”) to demonstrate their expertise in this field. The ‘Silver’ profile highlights how their GNSS-aided inertial navigation systems (INS) can be used for a wide variety of unmanned vehicle platforms, including UAVs (unmanned aerial vehicles), UGVs (unmanned ground vehicles) and high-performance autonomous driving systems. 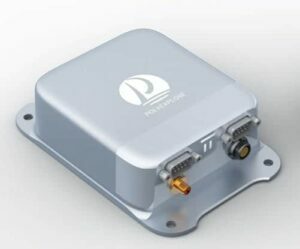 The PolyNav 2000P/E high-precision GNSS-aided INS leverages the advantages of both GNSS and INS to provide centimeter-level position and velocity measurement accuracy for UAVs and other unmanned vehicles. The system offers dual frequency Real Time Kinematic (RTK) positioning and tightly-coupled GNSS and INS systems to provide superior performance even during GNSS signal outages. The system continuously generates highly accurate attitude measurements whether the platform is moving or static, and is highly effective even in urban environments. Automotive Dead Reckoning (ADR) technology maintains position for up to 30 seconds during GNSS outages that may occur under bridges or inside tunnels, making the PolyNav 2000P/E ideal for autonomous driving applications. 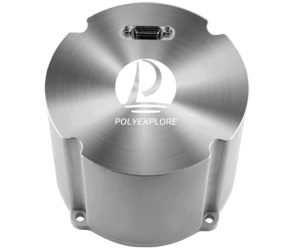 The PolyNav 2000P/E offers a choice of two grades of inertial sensor performance. The PolyNav 2000F is a tactical-grade Fiber Optic Gyro (FOG)-based GNSS-aided INS that provides extremely accurate attitude and heading data for unmanned vehicle applications. The sensor offers dual frequency RTK positioning and tightly-coupled GNSS and INS systems to provide superior performance even during GNSS signal outages. 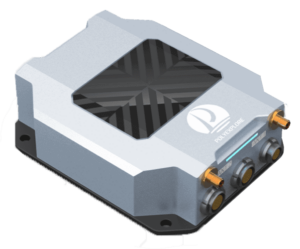 With high-accuracy attitude and heading outputs on both stable and moving platforms, the PolyNav 2000F is ideal for high-performance navigation for UAVs and self-driving systems. The PolyNav 2000B GNSS Base Station is a ruggedized dual-frequency multi-constellation GNSS reference station that broadcasts real-time RTCM corrections for any RTK-capable unmanned vehicles. The base station can be quickly and easily configured using an intuitive GUI via a local radio link or NTRIP caster/client (network RTK). The PolyNav 2000B features a fast search engine to improve Time to First Fix (TTFF), with a configurable update rate of up to 50 Hz. It can be configured to record all tracked dual frequency multi-constellation measurements for post-processing.